Nokia N9:Without Keys Home - The presence of N9 inevitably also removes speculation that Nokia will leave MeeGo because it will focus more with Windows Phone, an operating system developed by Microsoft. MeeGo is the result of collaboration between Nokia, Intel and AMD. 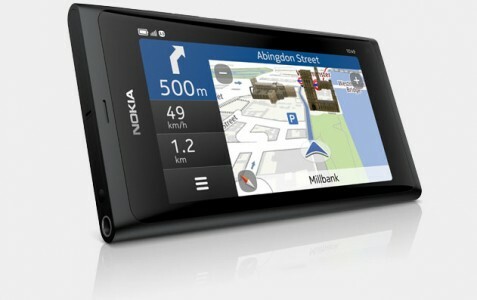 Nokia will immerse MeeGo processors in its newest product, N9, is fulfilled. 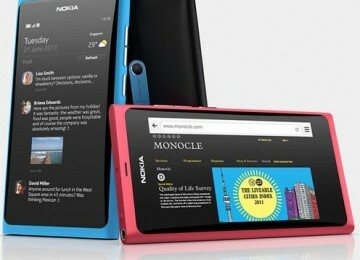 This week, Nokia officially announced the N9 which works with MeeGo. N9 is the first phone that carries the operating system MeeGo 1.2 Harmattan. MeeGo themselves prepared for the mobile phone Nokia mobile computing category. Fujitsu had previously used a similar processor for netbooks. So, what is different from that platform N9 MeeGo with Symbian smartphones that carries Anna 3 and Symbian or Window Phone? So far, there has been no clarity about it. However, pay attention to specs and features that are embedded on the N9, obtained a picture that the phone MeeGo seems closer to the concept of mobile computing. Therefore, Internet access becomes one of excellence. N9 pentaband supports WCDMA networks as well as quadband GSM / EDGE networks. Technically, this phone has data transfer up to 14.4 Mbps on HSDPA networks and HSUPA 5.76 Mbps on the network. For business transfer speed, became the first N9 fastest. Generally, the maximum transfer speed of 7.2 Mbps smartphones on the HSDPA network. Mobile phones with ARM Cortex-A8 processor OMAP3630 1 GHz, it is also creating a new cell phone. In this case, N9 negate the home button. He was replaced by a simple movement (swipe). No matter where you are in an application, swipe from the edge of the screen will take you to the main screen. Having no home button, practically the phone has a screen that is widening. With display 3.9 "WVGA (854x480) AMOLED display, which is supported Gorilla glass technology, users can more displays on-screen applications. N9 has three screens. This is to allow users to classify daily activity. For example messaging, phone, social networking, multimedia, until the business office. Nokia also update them for the multimedia features. This phone, for example, can display 16:9 video format. For supported audio decoding technology Dolby Digital Plus and Dolby Headphone. Both claimed to be able to surround delivers a compelling, either directly or while listening to a headset. Batteries are also better. The rest, not much different from the existing features in the latest Nokia smartphones such as E7, X7 or N8.